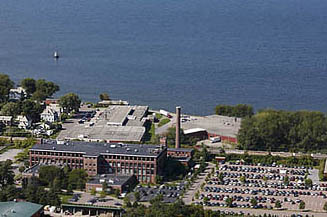 Develop a disposition strategy that would enable General Dynamics Armament Systems Division to realize value for an under-utilized real estate asset and retain space for the Engineering Group in Burlington, VT, while preserving political and community relations through responsible redevelopment of the property. 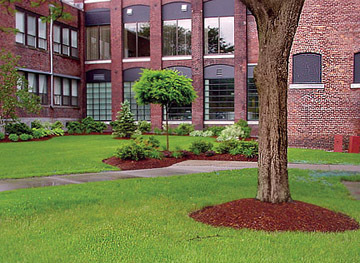 We purchased a 21-acre brownfield site (a former coal gasification plant and Superfund site,) from General Dynamics and implemented a development plan that provided for the complete redevelopment of the site. 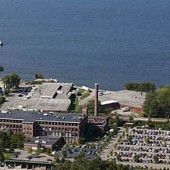 It included the leaseback of roughly 150,000 square-feet of space to General Dynamics, as well as the addition of a café and health and wellness center. 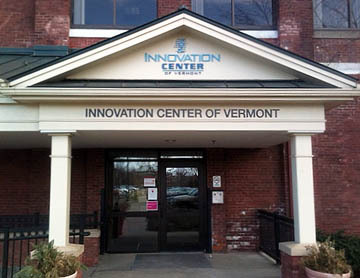 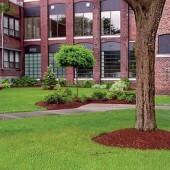 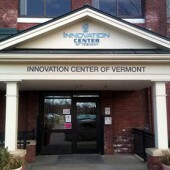 Currently known as the Innovation Center of Vermont, the project involved selective demolition and master planning/permitting of the remaining existing structures to support a public parking structure and developing 200,000 square-feet of additional state-of-the-art office and flex space that is attractive to highly valued users. 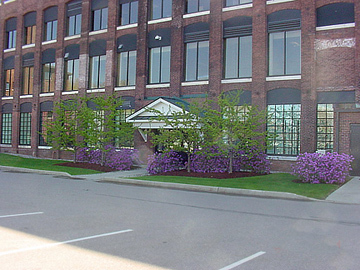 Sensitive to the long history of the former Queen Cotton Mill and its proximity to downtown, we retained much of the original brick and masonry office structure, while updating all utilities and parking availability to modern standards. 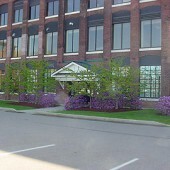 General Dynamics leased back a portion of the original office building for its Engineering Group.